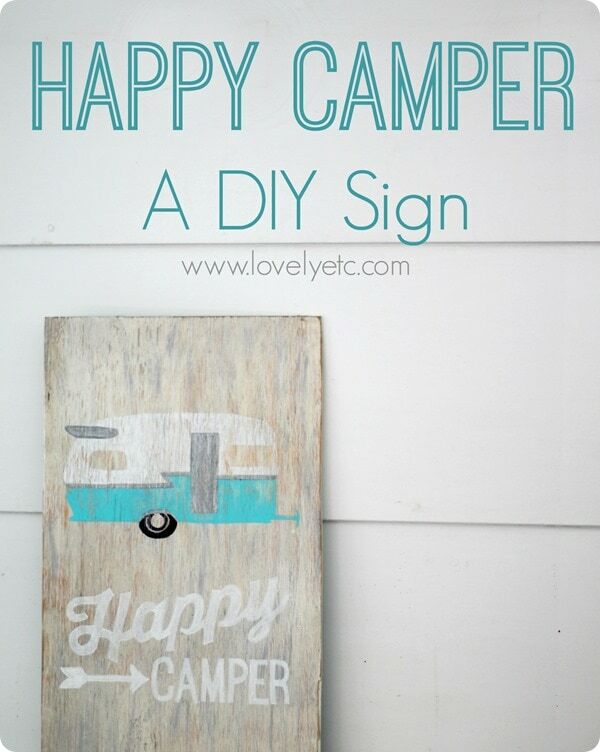 Happy Camper: A DIY Sign - Lovely Etc. As soon as I started planning my son Griffin’s toddler room, I knew I wanted to make a “Happy Camper” art piece. He’s happy. I love vintage campers. Best of both worlds! Ok, so we haven’t actually taken him camping yet – by the time he was old enough to enjoy it, I was pregnant again and I was not going to be sleeping on the ground while pregnant! But I am 100% certain he is going to adore camping – he’s just a running, climbing, exploring kind of kid. Painted signs are some of my absolute favorite things to make. They are pretty simple, can go with almost any style, and add tons of character to your walls. I made this sign using all of my tried and true sign painting techniques and it was way easier than it looks. 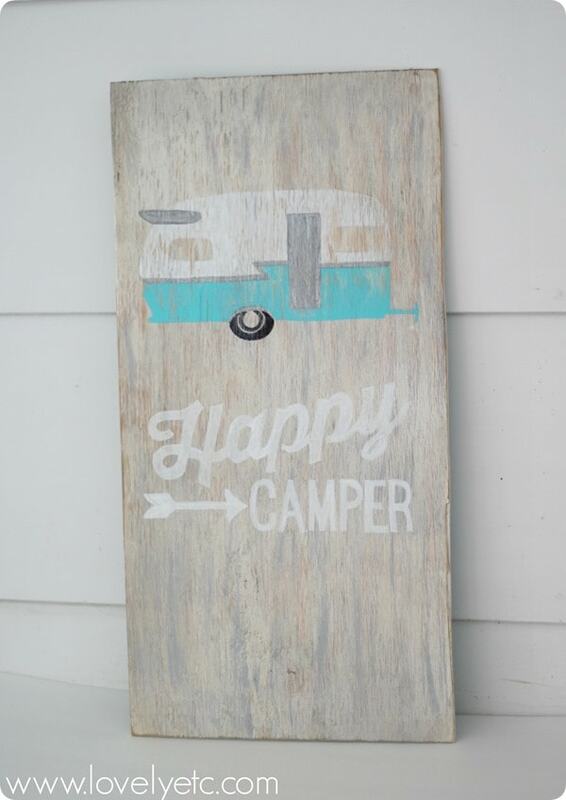 To make a painted sign, first you need a piece of wood. I am all about repurposing so I actually painted this sign on the back of a sign that used to be in Griffin’s nursery. This sign was originally made from a regular old piece of plywood. To get the texture and color I wanted for my background, I dry-brushed on some gray and white paint. (Dry-brushing just means I wiped most of the paint off the brush until it was fairly ‘dry’ and then painted the wood.) Then I used a rag to apply stain over the painted board. I quickly wiped the stain back off with some mineral spirits. This gave the wood a nice weathered gray look. I think the thing that scares people the most about painting their own signs is the idea that you need to be awesome at drawing/hand lettering. In reality you just need to be able to trace. For this sign I printed an outline of a vintage camper and then used picmonkey to design my sign lettering and printed that as well. Disregard the crayon scribbles – those are my son’s contribution. And now I am a happy camper as well! 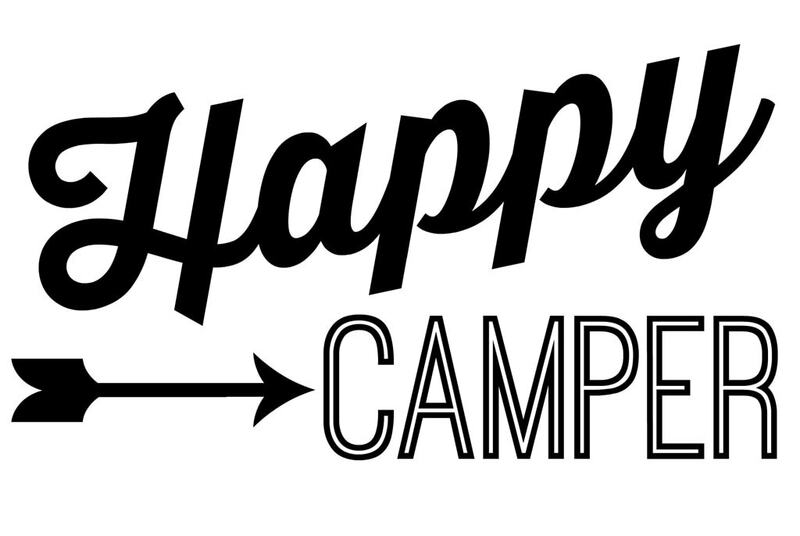 If you want to make your own Happy Camper sign, you can download the wording to print here. 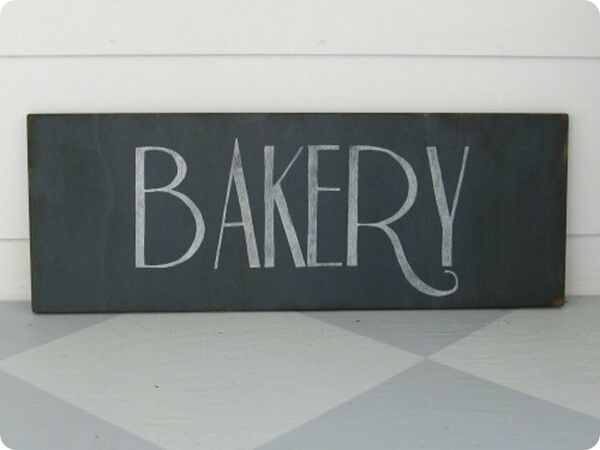 And if you are a lover of painted signs like I am, here are some of my other favorites you should check out. carrie, i love this! adorable! 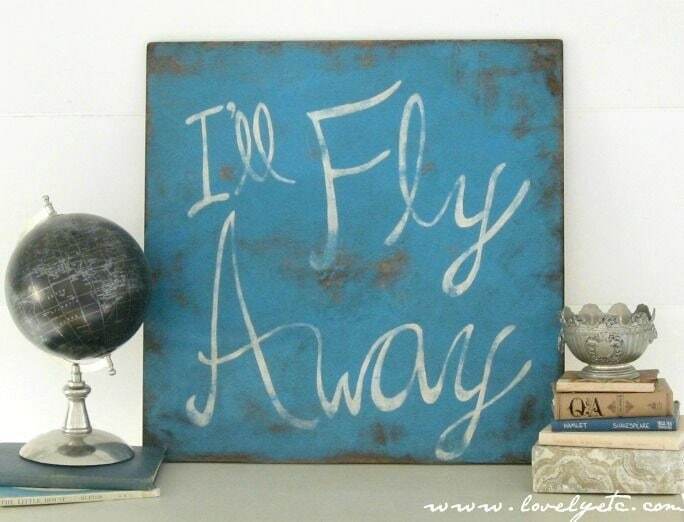 You had me at vintage sign….one of my absolute loves! 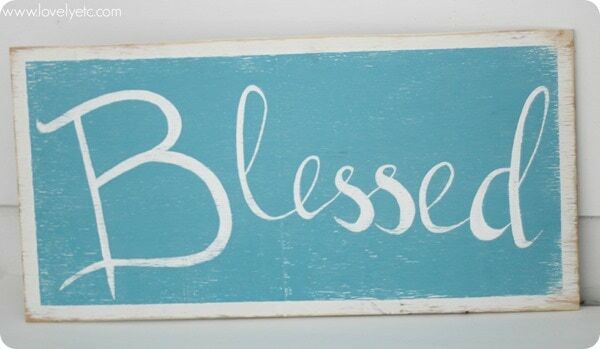 And this sign is simply stunning! Thanks Gilly! Signs are one of my favorites as well! 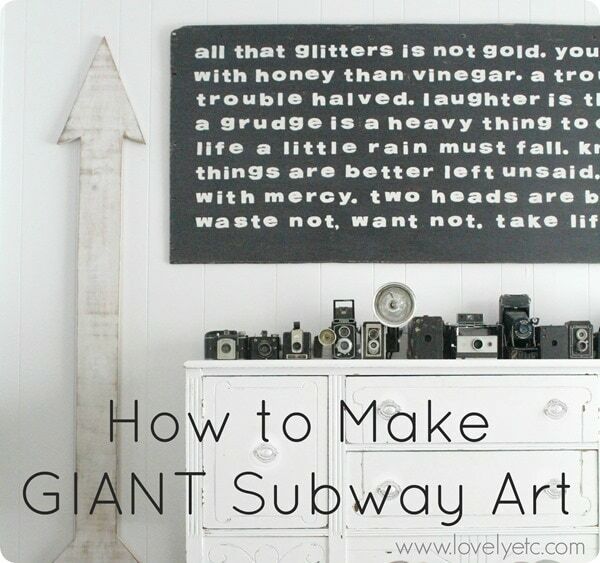 I just came across your blog today and I am so HOOKED!! I have spent waaaay too much time looking at all of your lovliness. Swoon! Do you mind if I ask you where you got the vintage camper outline? I would love to try and make this for my daughter for her 21st birthday! Thanks so much!! Thank you so much Kendra! 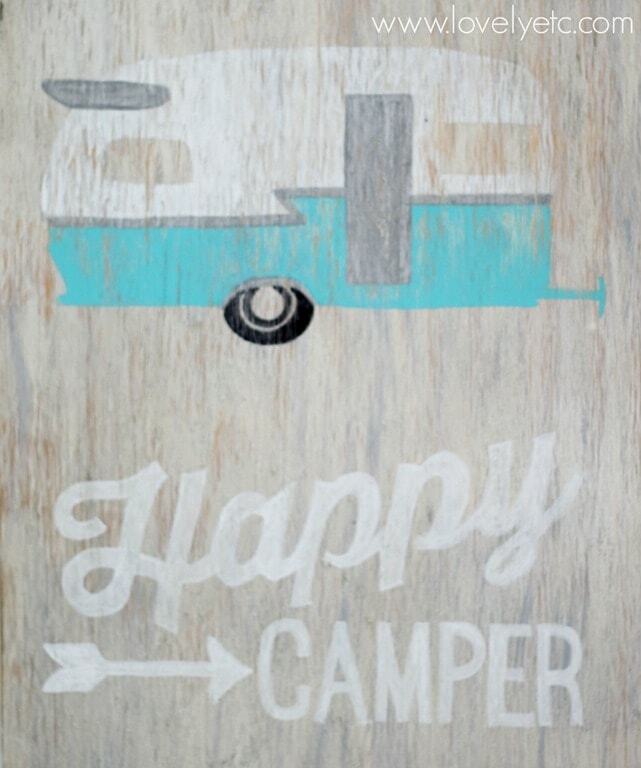 I can’t find the camper I used for the original sign, but I found this awesome free printable with a similar one. Plus, you can leave off some of the details to make a sign or use it as a printable. 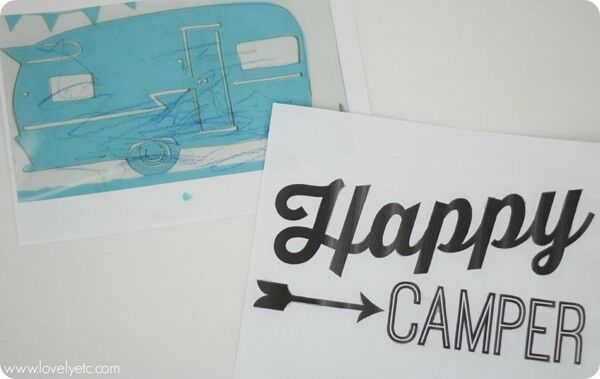 http://savedbylovecreations.com/2014/05/free-printable-vintage-camper-art.html Goo luck!